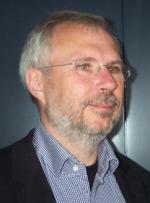 Uwe Flick is a professor of qualitative research at Freie Universität Berlin, Germany. He is a psychologist and sociologist and holds a PhD from Freie Universität Berlin. He has been professor at Alice Salomon University (Berlin) and at University of Vienna, Austria. His main research interests include qualitative methods, access to labor market for refugees and after migration, social representations of health, vulnerability, youth homelessness, and technological change in everyday life. He edited The SAGE Handbook of Qualitative Data Analysis (SAGE, 2014), The SAGE Handbook of Qualitative Data Collection (SAGE, 2018), The SAGE Qualitative Research Kit (2nd ed. SAGE, 2018). He is the author of Introducing Research Methodology: A Beginner’s Guide to Doing a Research Project (2nd ed., SAGE, 2015), Designing Qualitative Research (2nd ed., SAGE, 2018), Doing Grounded Theory (SAGE, 2018), Doing Triangulation and Mixed Methods (SAGE, 2018), and, most recently, of An Introduction to Qualitative Research (6th ed., SAGE, 2018).